This evening at the Society for American Archaeology conference (6-8pm, Grand Ballroom Salon A for all you who are also here! 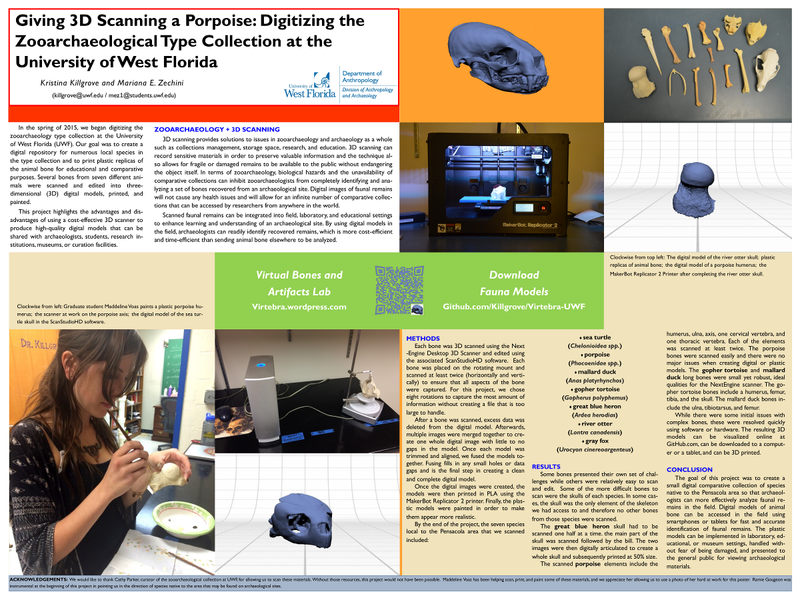 ), graduate student Mariana Zechini and I will be presenting a poster on our efforts to scan and print some of the interesting faunal remains in UWF's zooarchaeological collection. Throughout the last academic year, Mariana has scanned, printed, and painted: sea turtle, porpoise, mallard duck, gopher tortoise, great blue heron, river otter, and gray fox. 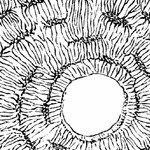 These species are relatively common in Pensacola and are skeletons we thought few people would have access to. If you want to follow what we're doing in the Virtebra lab (Virtual Bones and Artifacts), click through to our blog (Virtebra.wordpress.com). And if you want your very own porpoise or great blue heron, you can find the .stl models at GitHub.com/killgrove/Virtebra-UWF.